Independent tour operator, The Gambia Experience launches its November 2013 – October 2014 brochure this month. The brochure again incorporates sister company The Senegal Experience due to continuing interest in twin and multi-centre holidays. The Gambia Experience charters year-round flights from London Gatwick - Banjul with Monarch and programmes the widest choice of accommodation, much of which it exclusively offers to the UK market. The specialist reports that it has maintained or reduced its holiday prices for 30 of its featured hotels for this winter, plus advises early booking, since holidaymaker numbers from Europe to The Gambia are increasing year on year. The Gambia Experience is pleased to add the contemporary boutique Leo’s Beach Hotel to its Luxury Collection portfolio of properties. Located in Brufut - and enjoying a cliff-top position affording sea views - the hotel opened earlier this year and houses only six suites offering complete tranquillity for its adult-only guests. Lovingly designed and created by its Austrian owners, the hotel incorporates environmentally-friendly systems such as solar power for hot water, spacious grounds and swimming pool complete with Jacuzzi. The Gambia Experience can now offer the choice of nine lodges at the award-winning Mandina Lodges at Makasutu, part of its Unique Collection of properties. In addition to the Stilted Lodge, three Floating Lodges and three Jungle Lodges, there is now the new ‘Mangrove Lodge’, named as it is situated by one of the inlets amongst the mangroves. The Mandina Lodges at Makasutu offer a unique upriver experience in the heart of the African bush. The former colonial mansion, Ngala Lodge - as featured in The Gambia Experience’s Luxury Collection – has received two TripAdvisor accolades since the last new brochure launch. The hotel was awarded a TripAdvisor Award for Excellence in 2012, which was followed by a Travellers’ Choice Award for Romance in 2013. This ranked Ngala Lodge in the Top 10 Most Romantic Hotels in Africa. See the Ngala Lodge web page for details of the complimentary ‘Romantic Package’ available for couples booking Ngala Lodge with The Gambia Experience this summer. This winter, The Gambia Experience is pleased to re-introduce, in collaboration with Variety Cruises – its Rivers of West Africa cruises aboard the MY Harmony V. Blending conventional cruising and private yachting, there is a choice of itineraries with the option of embarking at Banjul or Dakar. Early Booking Offers include a saving of £100 per person on the first two sailings in January 2014. Next February (2014) Chris Packham will once again lead birdwatching tours for The Gambia Experience with the choice of three days by the coast, three days based at The Mandina Lodges at Makasutu, or joining both locations for a week of bird watching and photography. With limited places on each trip, early booking is essential. This season, for the first time, The Gambia Experience has joined forces with the award-winning volunteer organisation, people and places, in order to offer designated volunteering programmes for those who wish to spend four weeks or more assisting charitable projects in The Gambia. The Gambia Experience will also now feature Camp Africa trips for British schools and groups wishing to take part in community projects and sports activities in The Gambia, as well as learn more about the country in general. The Gambia Experience is offering a selection of Early Booking Offers for travel this winter (2013/14), valid if booked by 31 July 2013. These include savings of over £250 per couple at Coco Ocean Resort & Spa, courtesy of a free room upgrade from Junior Suite to Deluxe. The 11 night holiday for the price of 10 offer at a wide range of properties has also been repeated from last year. The Senegal Experience is also offering a selection of Early Booking Offers including a saving of £150pp available against 14 night all-inclusive holidays at the Royal Decameron Baobab Resort in La Somone, Saly. Conditions apply and offers are subject to availability. This season (2013 / 2014) 7 night holidays in The Gambia start from £549 per person, from £699 per person on an all-inclusive hotel board and from £835 per person to stay at a Luxury Collection property. In Senegal, 7 night holidays start from £899 per person. These are package prices and include flights, taxes and airport transfers. For the first time, The Gambia Experience is including summer holiday prices (i.e. May & June) within its pricing panels recognising that demand continues into these months since the weather conditions are comparable with the excellent climate during the winter. The Senegal Experience offers a choice of hotels in the Sine Saloum Delta and Saly / La Somone regions of Senegal, as well as a selection of private Tours which cover more of the country. Twin-centres can be arranged with The Gambia Experience crossing the water or customers can fly into Dakar with TAP Portugal via Lisbon. Departures are available from London Gatwick or Heathrow; please contact The Senegal Experience for more information. For more information on holidays to The Gambia and Senegal, visit The Gambia Experience at www.gambia.co.uk or The Senegal Experience at www.senegal.co.uk. 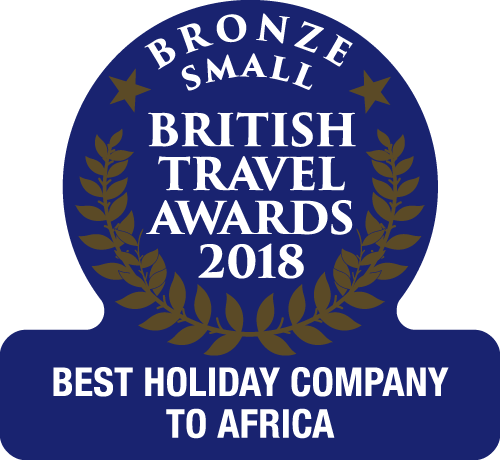 Alternatively call The Gambia Experience Reservations Department on 0845 330 2087 or The Senegal Experience Reservations Department on 0845 338 8706.